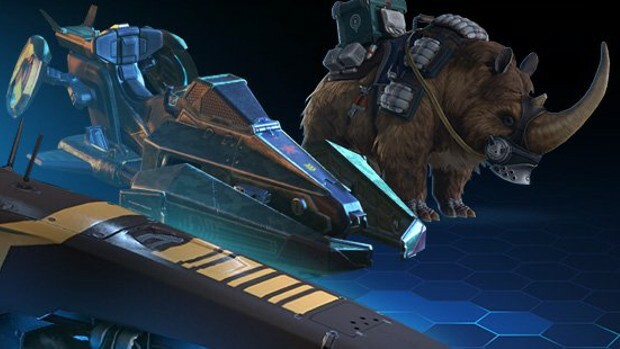 Mount upgrades are coming to Skyforge. In the next update — Reapers’ Revenge — players will be able to make their mounts of both the animal and technological kind more useful to them via upgrades using Victor’s medals. These upgrades will be applied to three categories found in the Transport management interface, which include: Vehicle Health, Call Speed, and Movement speed. The new upgrade system also offers players more reasons to collect mounts, as more mounts in the garage means more available upgrades. Upgrades will be unlocked sequentially but do not stack. More information on this and other Reapers’ Revenge features will be available on the Skyforge site later this week. Very boring dx9 mmo, full of bugs and performance issues, still nothing fixed, from scammer company, game is pay to win, u need hours to sit in chat and shout for party, u should be pure masochist to play this boredom and pay for it. Well, those “mini territories” are rather huge and can easily count as open world. Also, some dungeons allow mount ride. Also the tenral mounts can be made permanent if you collect enough rentals and not use them if i recall right they can be traded for perma of the same type. Repetetive boredom and u need to pay to play and pay to win and + subscription, for nobrain animals only.